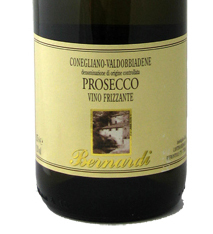 Bernardi Prosecco Frizzante is a delicious, easy drinking with a light sparkling style of Prosecco with a mischievous sapidity. The nose suggests blanched almonds, white flowers and pear skin; the palate is soft and clean with apple and quince fruit flavours with a naturally off-dry finish. The Gourmet Pig features a wonderful selection of wines from around the world.